Mary says, “Yes, leg burned through boots and leathers” but that clearly didn’t take her out of the zone. 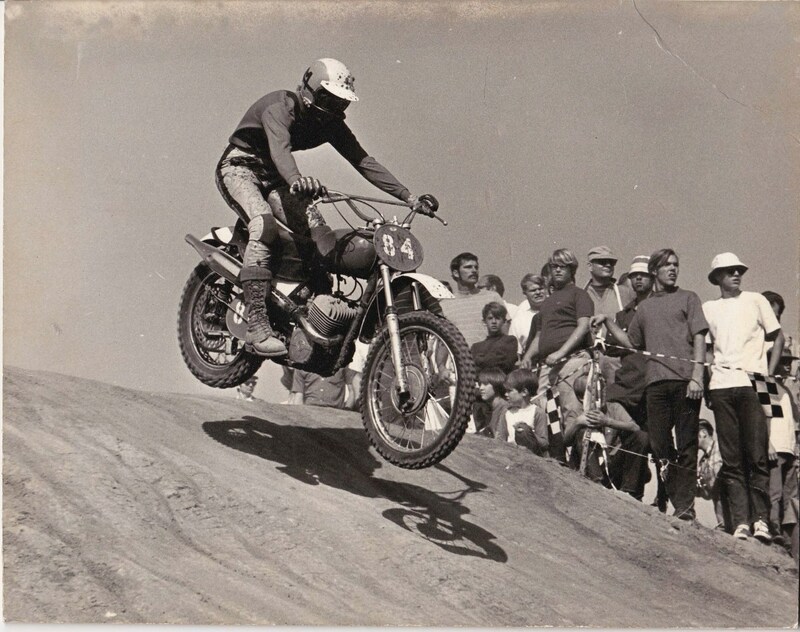 “Carlsbad was a great MX track. I am quite proud to say I was at the first race there.” McGee is known as a pioneer in the world of early motorcycle racing, especially for women. She began roadracing in the US in 1960 on a Honda CB92, and in 1975, rode her Husqvarna 250 in the Baja 500. She competed in the race by herself, no partner, and passed by 17 two-man teams. Česká zbrojovka (aka CZ) is a Czech firearms manufacturer known also for manufacturing motorcycles in the 1950s and 60s- in fact during this time they were the second largest motorbike manufacturer in Europe. Powerful two-stroke off road motorcycles brought them many racing victories. As Japanese companies began offering inexpensive motorcycles with high performance, CZ lost more and more of it’s market share. Cagiva bought up the brand in 1993 in attempt to revive the business, but went out of production in 1997 due to financial troubles.